It is end of the financial year and almost time to file tax returns, claim refunds and save as much as possible. Every time you save a receipt for official expense, or keep carefully the bill received for coffee with a potential client, it feels like a cumbersome thing to do. It might even feel that it is not worth doing these things. But, towards the end of the year, they do add up to thousands and are worth the effort when it comes to saving in tax money. 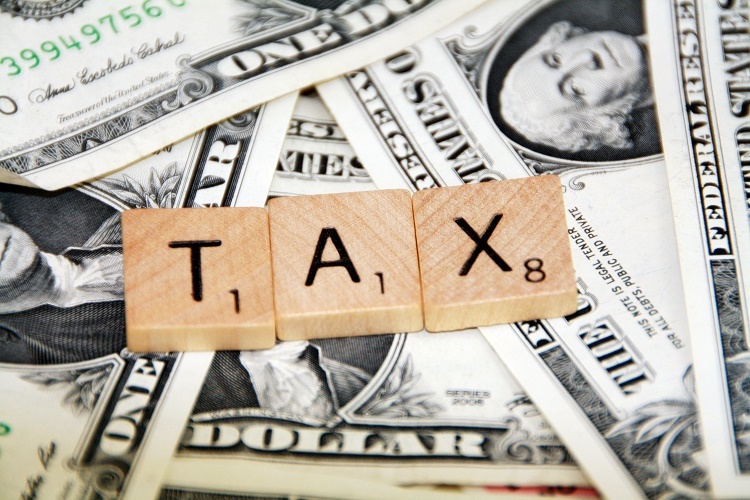 Apart from diligence throughout the year, here are a few easy ways to save on taxes. Any money you put into a legit retirement savings plan is exempt from tax. So, if you have additional cash lying around or you simply aim to save more on taxes and cushion your retirement years, increase the amount of money you set aside as retirement fund. If your employer gives you an option to have a medical reimbursement account, use the opportunity and move some money to a different account that makes your money tax-free and exists to be used to pay medical bills. You can divert up to $2500 into such account every month. Money that you set aside as a children’s’ education savings fund is not taxable. Set up a college fund for your child / children and save tax from right now while your children are still very young. Other ways to save on taxes would be investing money in municipal bonds, health insurance and other employee benefits from your employer, giving some investments to your children, and spending your pocket money on health costs. You can also claim exemption on amounts you pay towards childcare at certain government – recognized institutions and on children’s education like college expenses. The government offers tax credits on certain expenses like buying a hybrid car instead of a regular SUV, installing solar panels instead of using electricity and set up costs for rainwater harvesting. You can also claim credits for improving insulation in your house, getting efficient electrical systems, installing new doors and windows etc. If you are a work from home employee or you run your own business / office, take a home office deduction. The costs pertaining to the exact amount of space in your home that you use everyday can be claimed under home office deduction. If you allotted the guest bedroom to be your office, the rent and municipal taxes pertaining to that area of the house can be claimed as home office deduction. For more information on this deduction, refer to Schedule C, section 1040 of the income tax act. Any and all charitable deductions you make in the form of direct deduction in salary, donation of clothes, cash, household items, toys and everything else that is accepted by registered charitable institutions is eligible for tax deduction. This is one of the easy ways to save on taxes. When you change jobs in the same field you were working in earlier, you can also keep track of costs that you incur while hunting for the specific job and claim tax exemption. Employers do not reimburse vacation travel expenses. But when you do go on a vacation, you can spend a few days working at the location providing additional value to your employer and claim tax benefit on travel and stay. The hotel stay expenses maybe claimed against tax only for the days you actually spent working and adding value to your employer. But travel costs form a major chunk and claiming tax benefit can save a lot of money in taxes. If you are self – employed, you are entitled to home office deduction, deductions on business related travel, shipping, advertising, Internet charges and a score of other things. Look up the appropriate sections and take full advantage of the deductions. Any individual can file taxes under one of the following statuses. Each such status comes with certain exemptions and deductions whatever income bracket you fall under. Understand your tax filing status and get all the exemptions and deductions you are eligible for and save a ton on taxes. Even if you have not set aside bigger amounts towards retirement funds throughout the year, you can top them off last minute and get tax exemption. If you are a self employed individual or own a small firm or company, don’t forget to account for losses incurred while declaring taxable income. Certain exemptions are available against losses incurred and this will help you save some money on taxes. Take advantage of the free tax consultation provided by your employer. You can also hire your own tax consultant at reasonable cost. If you run your own business or you are self – employed, hire a tax consultant from time to time to keep your documents in order. You should also hire an investment adviser who will help you invest in profitable tax exempted avenues. Most banks provide this service free of cost if you create your investment portfolio with them. However, such consultations lean towards the interest of the bank rather than your sole interest. You can also hire an investment consultant who does not charge you any fees for advice and can help with investment (he/she earns a commission from the investment house). Apart from all the easy ways to save taxes listed above, it is important that you be aware of new federal laws that open up more saving opportunities for you. You can follow the IRS website for updates and also look up useful information. If you carefully review your tax filing form, you will easily spot any deductions/credits you are eligible for and can take advantage of such information.